The 7R Future Leadership Institute is following Belgian Floris Buter from the Virunga National Park on a 12 day field trip in Africa, in order to gather topography data for a hydro-power project. The collected data are to be wired to the Belgian engineering firm TPF. They need the data to make a feasibility study. Since Floris is out there today, the communication depends on the availability of a working internet line, which results in diary fragments coming through in a rather chaotic way. Today you will find a report of his sixth day, again being blocked on an African road for hours, contemplating about changing jobs, applying for a job in a brewery, deciding to enter a business venture with a friend. 05:37 I wake up and start disassembling my tent. 06:29 We leave the dirty muddy hole in the road, while leaving behind some fruits and breakfast for the guys that are still stuck there. 06:51 Papy stops near a small stream of clear water, asks a field bottle from one of the rangers, fills it and uses it to top off the windscreen fluid. He sprinkles the rest over the windscreen while he puts on the windscreen wipers. 07:58 Arrival in Butembo. I send Alain a textmessage to ask for the number of Mauro Alesi, the Director of the Brasimba brewery who lives in Beni. I am considering of applying for the position of sales/operations/procurement manager at the Brasimba brewery. 08:41 Road blockage between Butembo and Beni: a Mitshubishi Fuso is stuck in a ditch and a big green Mercedes blocks the middle of the road. A big petroleum truck with double trailer moves slowly in the direction of the green truck. Apparently, the petroleum truck wants to try to pull the Mercedes away. 09:07 The petroleum truck succeeds in clearing the way. A whole series of Toyota Avensis’ are now able to pass the two trucks. And so are we in our V08. We continue our journey. 09:28 A red truck carrying a Maersk container is blocking the road. Fortunately, small cars can pass. 10:06 A green Mitsubishi Fuso with orange cover is blocking the road. He tries to free himself but he fails. Fortunately, our smaller V08 can pass. 10:07 Road blocked by… I don’t know, difficult to see from where we are. I step out take a look. This time it is a Toyota Dyna. When I arrive at the scene, a big Mercedes truck is just pulling him out. After this the logistics of big trucks standing on the wrong side of the road moving around in order to be able to continue their journeys takes time. Even though the Toyota is pulled out of the mud, there is no movement in the traffic jam. 12:11 Finally we drive again! 12:54 We reach Beni. I call Léon and meet him for lunch at the Albertine Hotel. Léon starts pitching his business ideas and asks if I’m in. We decide to meet his business partner later in the afternoon. 13:23 Thomas and Marie from the UN group of experts -kind of research group- join us for lunch (or actually following us). When they get their plates, I get my Kivu coffee and my big dark chocolate muffin. As soon as I have finished my coffee and muffin, Léon takes me away in his blue metal BMW of 2006 and we drive to the business opportunity (CLASSIFIED INTENTIONALLY LEFT BLANK). We meet (CLASSIFIED INTENTIONALLY LEFT BLANK). I decide to join their project and leave the Brasimba application for what it is. We visit a house where I can live. It looks cool. It looks like a Pipi Langkous house with green climbing plants covering the front. We celebrate and drink some beers in the Albertine Hotel. 23:06 I go to sleep. Floris Buter is the Managing Director Commercial Enterprises of the Virunga National Park in Africa. He is responsible for the identification, conceptualization, implementation and operation of all commercial opportunities in and around Virunga National Park. Virunga is truly the crown jewel of Africa’s national parks. The park contains over 50% of sub-Saharan Africa’s biodiversity and is home to about 200 of the earth’s last 720 critically endangered mountain gorillas. 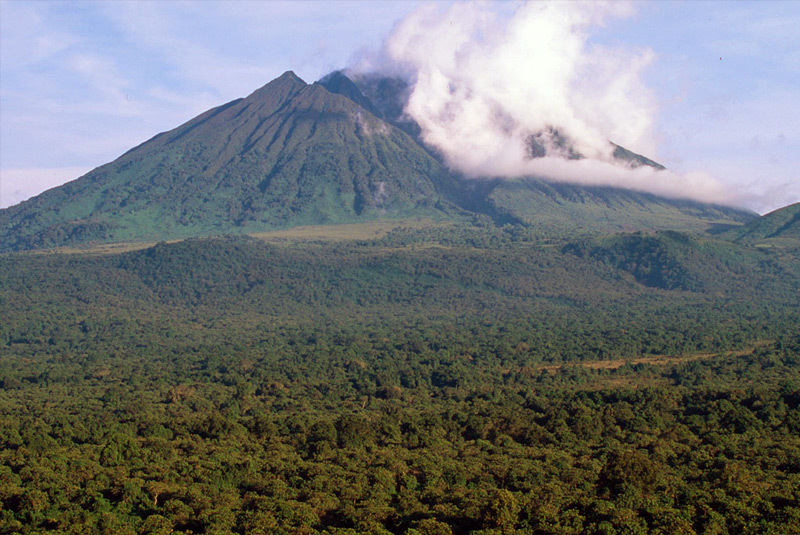 Virunga is the oldest national park in the Africa. Despite this, the forests and amazing animals of the park, most notably the mountain gorilla, are in a desperate fight for their survival. In June 2015 Floris Buter explores the region of Rumungabo in Goma on a 12 day road trip in order to gather topography data for a hydro-power project. To read the other diary posts from Floris Buter, click here. Are you a scientist, adventurer or explorer on a mission ? The 7R Future Leadership Institute supports nature research and exploration. If you are a scientist, adventurer or explorer on a mission, we are interested in your story. Please contact us via info(at)fli.institute to discuss terms and conditions.